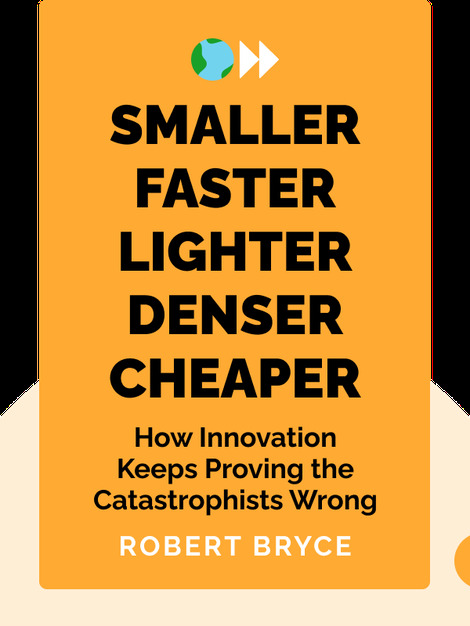 Smaller Faster Lighter Denser Cheaper (2014) explains the psychology behind our anxiety and pessimism regarding climate change. Rather than giving up and reverting to a medieval way of life, these blinks explain how innovation and new technologies will help humankind survive and continue moving forward. 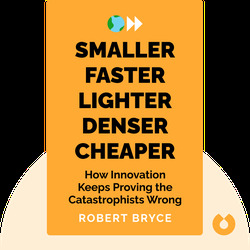 Robert Bryce is an American author and journalist. He has written for the New York Times, the Wall Street Journal and the Washington Post on the energy industry and climate change. Bryce is also the author of Power Hungry and Gusher of Lies.